OMG. I see Stephen Harper has stolen the spotlight at the G20 summit, by going dictator to dictator, with Vladimir Putin. Stephen Harper told Russian President Vladimir Putin flatly that he needs “to get out of Ukraine,” when the two met at a Group of 20 summit of major economies in Brisbane. In a crass attempt to make the summit all about him, and the ethnic vote. 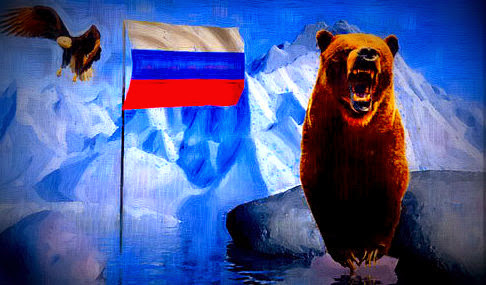 But since Putin is as crazy and as desperate as Harper, and since he has nuclear weapons is even more dangerous. I think it would be prudent to warn the belugas in the St Lawrence to keep a lookout for Russian submarines. But of course, Harper doesn’t care about that. The more he can scare Canadians the better. So he can pose as a Great Strong Leader . 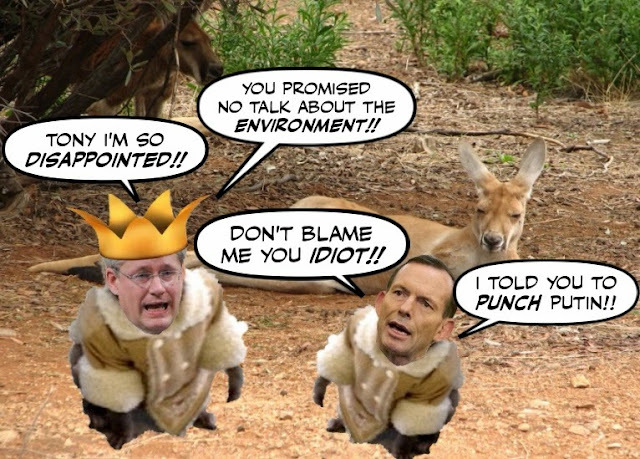 . .
And use his dust-up with Putin to help his good buddy Tony Abbott keep climate change off the agenda. And in that regard he failed miserably. The G20 communique will include a significant passage on climate change, EU officials said on Sunday, as the United States and other heavyweight nations override host Australia’s attempts to keep the issue off the formal agenda. He was left on the sidelines with his fellow climate change denier Abbott. Looking like a loser, and as I pointed out yesterday, never more isolated. Or more ridiculous . . . . But of course, all of this is no joke. 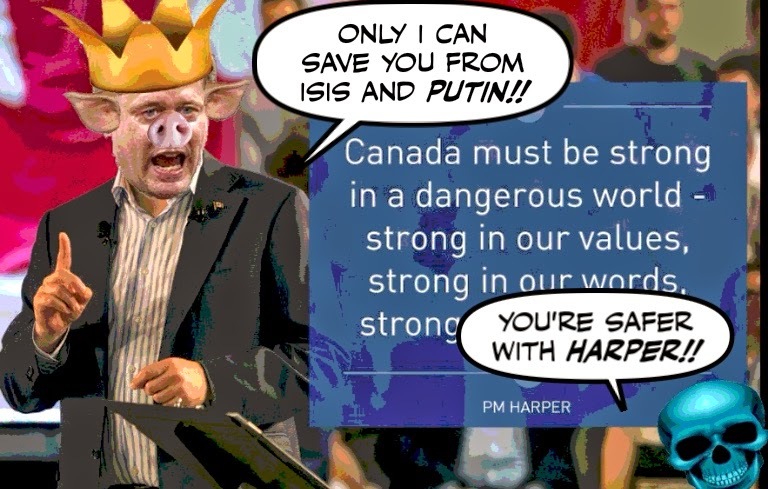 For it proves once again that Harper will do ANYTHING to win the next election. Even if that means inflaming a dangerous crisis for crass political purposes. Neither we nor the planet will be safe.